and for me a new planner. Are you all as giddy as I am? You can order one now and have it in time to start with it in July! Those that homeschool and run through a school year similar to the school system. Or for anyone unhappy with their current planner, why keep torturing yourself with it? 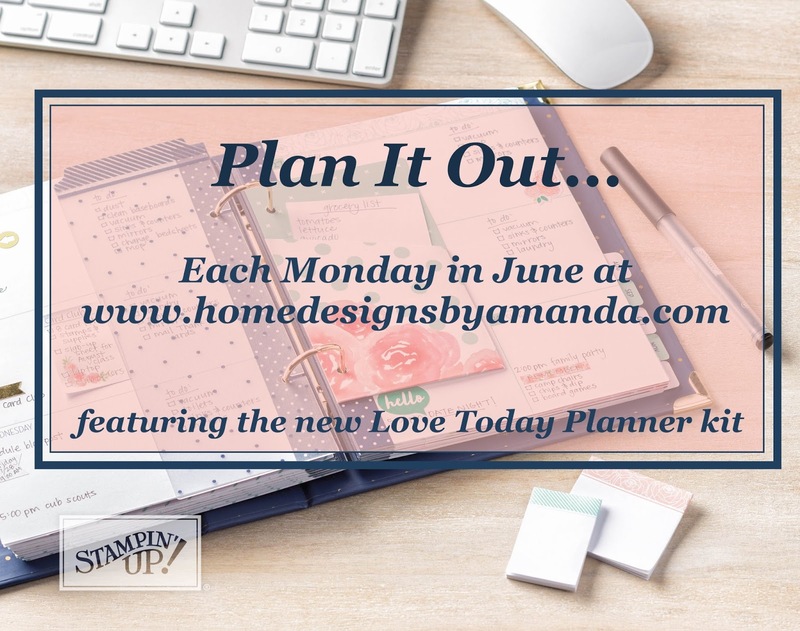 so why not the high quality Love Today Planner by Stampin' Up!? Want to see inside the planner? and the space to write in for each day is quite a good sized space. Are you a planner person? Does this look like a planner you would like to use? which you can find in the title block at the top of this webpage. Well, thank you for coming to Create with Me today! to walk in his statues, and to keep his commandments, as at this day." 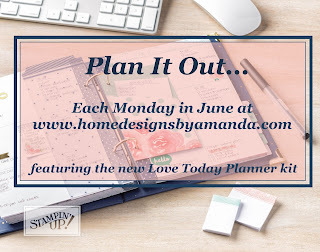 Labels: 1 Kings 8:61, Journal, Love Today planner, Plan It Out Monday's, Planner, Stampin' Up!